This was an experiment in beetroot to try and capture some of the geosmin scent. The test scent was really nice but as is often the case it got lost in the translation (saponification). A little frustrating but half expected. I might try another approach and if that fails, give up on the idea for the time being as there's other ideas I want to follow up. 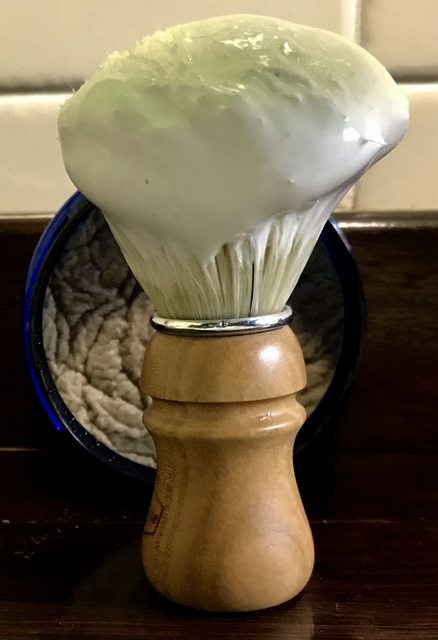 I used the Bay/Lime MkIII base (twigged slightly) as I wanted oils that I knew wouldn't change the scent profile too much, so it's a lovely creamy lather and feels great on the face but I'm pretty sure Back Beet is not destined for production in this form. My wife really liked the test scent but thought the soap has unpleasant notes. I'm a little more positive, I'll be quite happy to use it but won't be ripping out another half dozen for friends and family, although they did like Nettle n Neem (potential market identified ). The soap scent is earthy, sweet woody. The test scent had more aspects of a red fortified. I'll bring it to Canberra and see what you lot think. Ingredients: Stearic, Olive Oil, Tallow (Beef), Avocado Oil, Lanolin, Castor Oil, Jojoba Oil, Bentonite, Tussah Silk, Glycerine, KOH, NaOH, Filtered Water, Beetroot extract, essential oils. Essential Oils: Patchouli, Vetiver, Cedarwood, Geranium, Frankincense, Gurjun Balsam, Copaiba. Today I did the V3 iteration of Back Beet. I look forward to pulling out Back Beet for a shave as there's something comforting about the scent. From a popular appeal perspective it needs something to lift it and when I came across Galbanum essential oil I thought it might be the top end compliment I was looking for. Galbanum is not a scent you'd use on its own as it reminds me of some green weeds you might find in the paddock whose sap scent is quite astringent, but mixed with other scents it adds some fresh, bright notes that also feel mind clearing like being hit in face by a very fresh mist. In the test scent it produced very pleasing results that actually reminded me of an old cologne which I cannot place. The test of course is to see if it transfers and works in the soap base. The base was basically unchanged except for a slight increase in tallow. 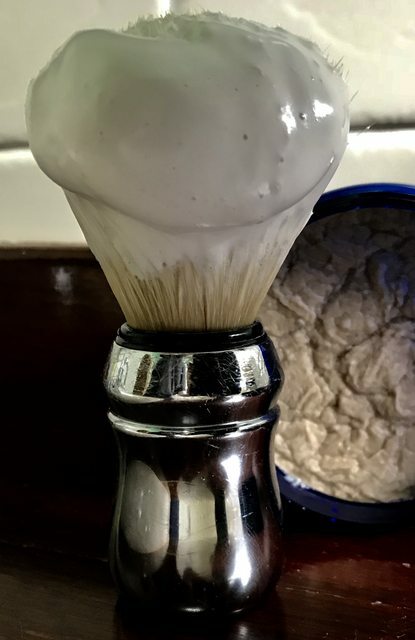 The test lather produced a thick rich creamy lather with very promising scent that needs time to settle.